These demonstration projects seek to improve patient health by aligning the interests of healthcare partners which should increase immunizations and improve the healthcare outcomes of patients across the country. 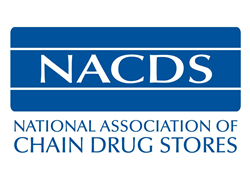 The National Association of Chain Drug Stores (NACDS) today announced the launch of three demonstrations projects that aim to foster healthcare collaboration across the care continuum to increase pharmacy-based immunizations. The goals of the project are for chosen healthcare entities to work together to develop and implement a value-based payment model that is scalable and replicable, and that results in improved immunization rates for a targeted population that are recorded in the appropriate state-based registry. The models also will feature innovative methods for sharing immunization information among the participating health plans or systems, accountable care organizations, community pharmacies and patients. The awardees also will collaborate with public health agencies to improve pandemic vaccine preparedness. NACDS released a request for proposals in February 2016 seeking proposals that align interests across healthcare stakeholders to drive immunization rates. NACDS received more than 20 proposals and convened an independent review committee comprised of experts in the fields of public health, pharmacy operations, and healthcare quality. To develop the demonstration projects: (1) The University of Pittsburgh will partner with Giant Eagle and the University of Pittsburgh Health Plan; (2) the University of Nebraska Medical Center will partner with Hy-Vee, the Nebraska Health Network and the University of Iowa Health Alliance; and (3) the University of Washington will partner with Bartell and QFC and the Washington State Health Care Authority. The demonstration projects aim to fulfill the goals of an $800,000 Centers for Disease Control and Prevention (CDC) grant to NACDS, which examines innovative healthcare collaborations designed to demonstrate increased rates of pharmacy-based immunizations including influenza, pneumococcal, pertussis and herpes zoster. The grant also focuses on improving pandemic planning among pharmacies and state health departments, in addition to improving access to HPV vaccine resources and education for pharmacists. This RFP is supported by Grant Federal Award Identification Number, IH23IP000985, for $800,000 funded by the CDC. The content of this RFP is solely the responsibility of the authors and does not necessarily represent the official views of the CDC or the Department of Health and Human Services. NACDS showed its strong commitment to this $800,000 grant by contributing an additional $300,000 to execute the demonstration projects. Given this contribution, each sub-awardee will receive approximately 67 percent ($200,000) of its funding from the CDC and approximately 33 percent ($100,000) from NACDS to implement its demonstration project. A total of $1.1 million will be used to complete CDC project work, with 80 percent from the CDC and 20 percent from NACDS. State-by-state expansion of pharmacists’ vaccination authority has emerged as a pivotal public-private health trend over the past decade. In October 2009, Maine became the 50th state to enact legislation allowing pharmacists to administer the flu vaccine. In May 2015, Georgia became the 50th state in which legislation was enacted to allow pharmacists to administer three adult vaccines, adding pharmacists’ vaccination authority for pneumococcal and herpes zoster to their existing vaccination authority for influenza.